I'm taking a break from describing the progress of building my layout to jump ahead to the present. On Aug. 15 2009 I took the enclosed video to demonstrate the operation of the Lenz XpressNet Phone Adaptor (XPA) in response to a question that I received on the O Gauge RR Forum. I’m posting the video now since I would post it here eventually. The XPA allows you to use a cordless phone as a wireless operator’s throttle. The phone plugs into the XPA which in turn is plugged into the Lenz XpressNet via a phone jack. And that’s a point I did not make clear enough in the video; the phone jack is connected to the Lenz command station, it is not a phone jack connected to your household phone wiring. The cordless phone cannot be used to make phone calls and it is dedicated to the Lenz XPA, unless you disconnect it and reconnect it to your phone jack in the wall. Lenz uses a cordless phone as a wireless throttle for a very clever reason. Lenz sells systems worldwide, to market a wireless throttle they would have to certify the system in every country where they sell it – a very expensive proposition. By using the cordless phone as the wireless link in their system, the phone manufacturer has assumed the cost and risk of certification. The user simply uses a phone certified in his own country. I also made a mistake in the video, that’s a Weaver RS-3, not an RS-2 as I voice in the clip; my mistake, attribute it to a senior moment! 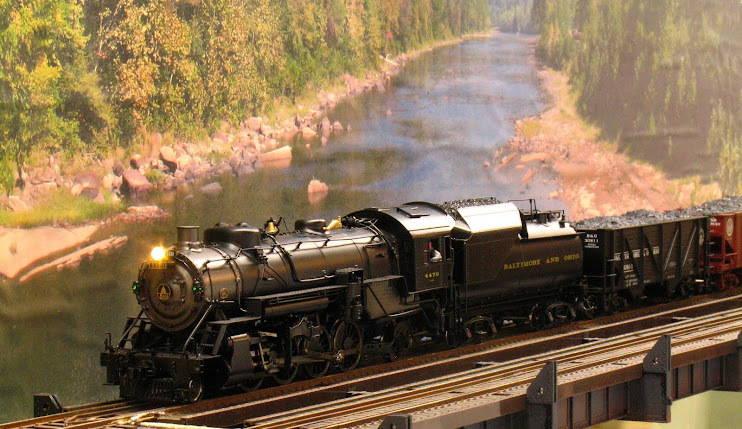 I also mention that this RS-3 has an old MRC decoder that is 28 speed steps. It’s actually a 14/28 speed step decoder and I suspect that it is operating at 14 steps since it takes 2 speed steps before there is a noticeable change in speed. You could use a number of cordless phones as throttles since there are at least 3 radio bands for cordless phones (900 MHz, 2.4 GHz and 5.8 GHz.) and there are multiple channels in each band. The ultimate limit would be the XpressNet which has a limit of 30 throttles.